Shalom has been the greater Chicago Jewish Cemetery of choice for thousands of families for more than 60 years. The only traditional Chicago Jewish Cemetery located in the northwest suburbs, Shalom Memorial Park’s Arlington Heights location is convenient for our entire Chicagoland Jewish community. Shalom’s continued dedication to our community has allowed official affiliations to be formed with over 50 Chicago area congregations and has made Shalom Memorial Park Greater the Chicago Jewish Cemetery of choice for our entire community. 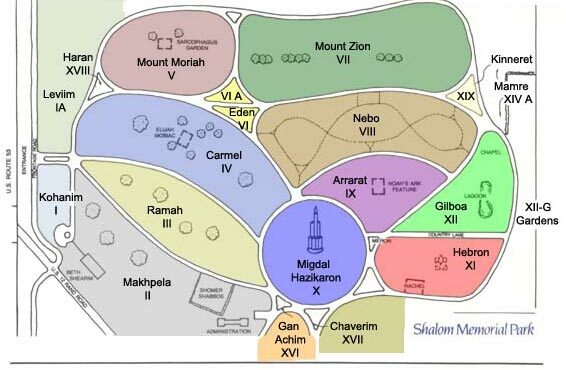 Click for a listing of the affiliations which the Shalom Memorial Park Chicago Jewish Cemetery maintains. From North Side of the Chicago Jewish Cemetery – Travel north on the Edens Expressway to Willow Road. Exit west onto Willow Road and continue approximately 11 miles to Rand Road (Route 12). Turn right (north) onto Rand Road and continue approximately 2 miles to Shalom Memorial Park and Shalom Memorial Funeral Home. 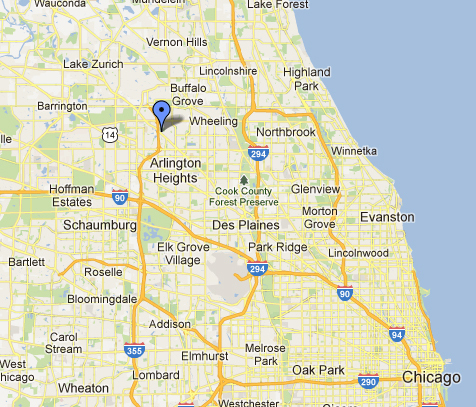 From Central and South Side of the Chicago Jewish Cemetery – Travel north on the Edens Expressway to Willow Road. Exit west onto Willow Road and continue approximately 11 miles to Rand Road (Route 12). Turn right (north) onto Rand Road and continue approximately 2 miles to Shalom Memorial Park and Shalom Memorial Funeral Home. Travel west on the Kennedy Expressway to the Northwest Tollway (towards Rockford). Proceed on the Northwest Tollway for approximately 9 miles to the exit for Route 53. Exit north onto Route 53 and travel to the exit for Rand Road. Exit, proceed straight through the traffic signal onto Wilke Road, and continue to the entrance for Shalom Memorial Park and Shalom Memorial Funeral Home. From North Suburbs – Travel west on Dundee Road (Route 68) to Wilke Road (a La Quinta Inn is located on the corner, just before Route 53). Turn left (south) onto Wilke Road and continue to the entrance for Shalom Memorial Park and Shalom Memorial Funeral Home.